Anna's just half a year from three, and already she's at a deep disadvantage in the feminine arts. See, I'm kind of helpless when it comes to things like buying and applying make up, which isn't to say that anyone in possession of lady business also is mandated to wear blush and mascara, but she's already into my two-dollar lip gloss, and is fascinated by the medieval eye cage that I'm told is used to curl lashes. Inevitably she'll want to learn and experiment, and I am woefully under-qualified. 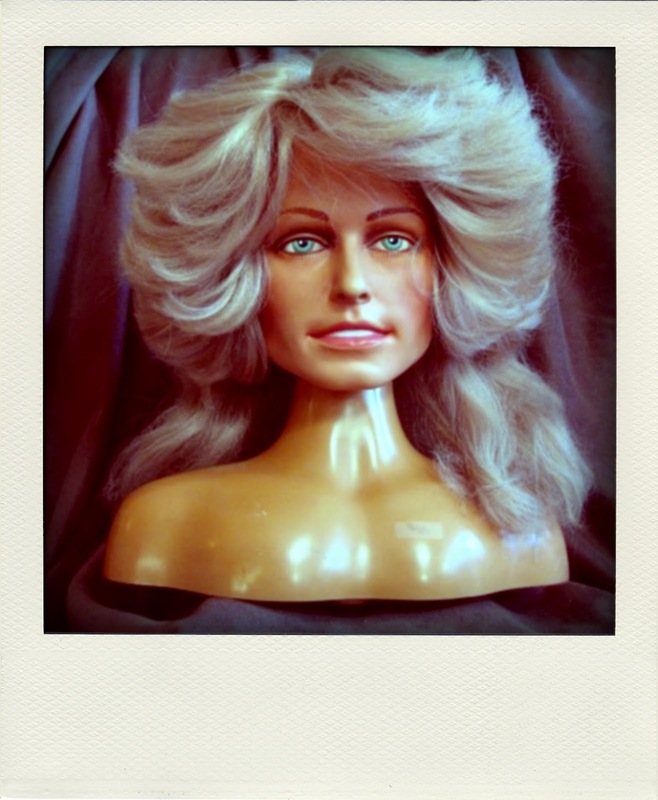 I have friends who expertly apply eye shadow, putting the darks and lights in all the right places, ending up looking smoky and mysterious, and though I might follow along side-by-side, my results are closer to the hot mess I turned my Farrah Fawcett Make-Me-Up mannequin head into at 8 years old. 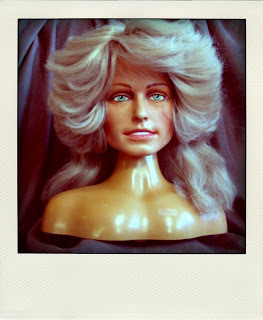 My mom had to bleach the life-sized head clean an hour after I'd opened it that Christmas. RIP, Farrah. The first time I experimented with foundation was in the tenth grade. I thought I looked great. I loved how even and smooth it made my skin. I didn't realize it also made me look like my grandmother's eighty-year-old neighbor whose trademark was the flesh-colored chinstrap created where her foundation abruptly stopped; a perfect, clean edge of too-tan. It wasn't pretty. Worse, this had to be pointed out to me. I work from home now, my commute is about five steps, not counting pit stops for bathroom and coffee. I use cosmetics so infrequently that I've still got months' worth from the stuff I splurged on for my 2004 wedding. When I visit with my youngest sister I raid her stash of fancy bottles and tubes, wondering how anyone knows what to do with all this shimmery, slippery stuff, watching her fill in all the right spots with dabs of this and smears of that, and hoping I don't end up looking like my ex-boyfriend's mom — also a non-doer-upper — who'd get dolled up for special occasions only to emerge from the bathroom looking like a deranged Cirque du Soleil understudy. So I'm afraid my daughter will have to sit Indian style in front of a full-length mirror with someone else's mom, contemplating which brushes to use, working out what palette works with her beautiful olive skin, figuring out the difference between cover-up, concealer, and foundation. I'll just sit across the room and blog about it.